In honour of today I thought I would pay homage to my canine family! Sargent, my first dog until I was five, a lovely mixed breed that used to let me dress him up in baby clothes and push him around in a stroller. You taught me that we need to advocate for our animals, lest they pay a price for a little boys mistakes. Noel, she was a Beagle, Dalmatian and Samoyed mix, who was the first dog I remember having to say good bye to! She introduced me to the awful C word, she was ravaged by Cancer and we had to let go of her when I was about 16. Amber, a big boned, pure bred Sheltie she was the first dog I was responsible for taking care of and looking after her needs. 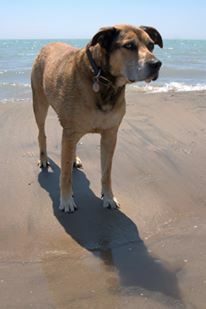 She followed me from my family home across Canada and was the first dog my children ever learned to love. She too had Cancer and we had to let go over her when I was in my thirties. Maggie, a Pit bull , Husky mix that was with us for too short of a time. We said good bye to her at 7 months. She taught me not to be impulsive, to know better and do better! Piper, a small boned Sheltie, who was very sweet and my shadow! She was a fragile little thing. She battled with Cushing’s disease and died eights years after we brought her home and took a piece of us with her when she left. She taught me to listen to my gut and that a veterinary degree doesn’t make a person infallible. Nishka, a pure bred Siberian Husky who came to us at ten years of age, she taught us about moxie and tenacity and gave us six wonderful years getting to know her! With her I learned that love doesn’t always look the same, but it is still love! Lucas, a Shepherd Mix, a senior citizen with one blue and one brown eye. He’s a gentle giant and the current Lord of the Manor. He is still teaching me a great deal and I enjoy learning from him! And last but not least, Rupert, my pure bred Sheltie Grand Puppy, who livens up all our lives and reminds us what it is like to be youthful and full of enthusiasm! My canine friends have given me solace, companionship, unconditional love and so much joy! To all the dogs I have had the pleasure of knowing, who’ve traveled many miles with me and left paw prints on my heart, I am so grateful for the love you gave me and the memories we have shared !